In an outstanding showdown that went down to the final shot, Unicaja Malaga improved to 2-0 in Group B by edging ALBA Berlin 84-87 at home on Friday. 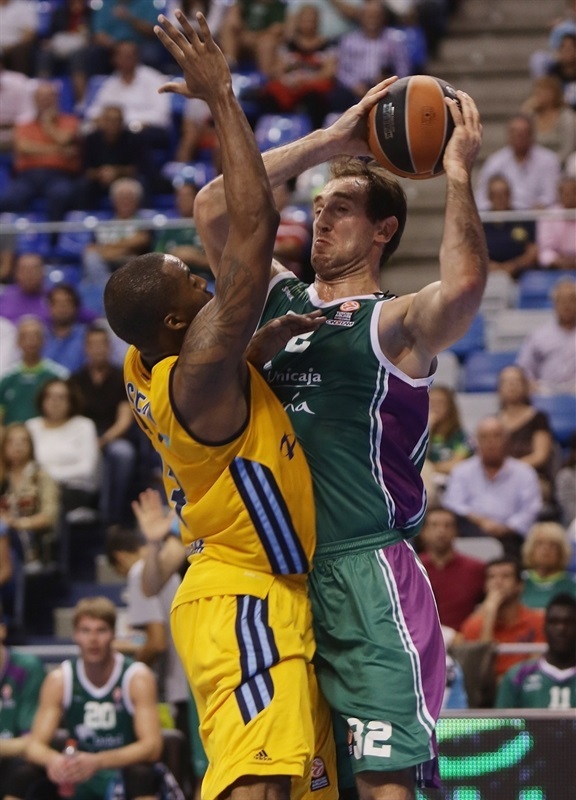 Unicaja remained undefeated after two games in Group B, while ALBA dropped to 0-2. 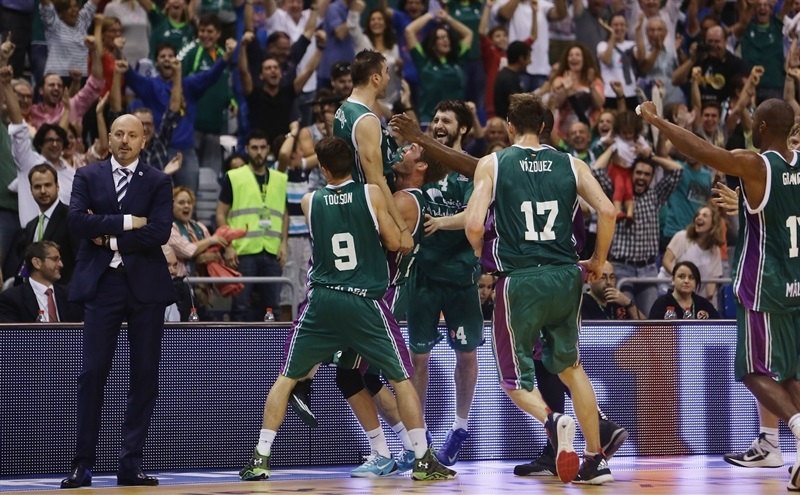 Kostas Vasileiadis became Unicaja's hero by hitting the game-winning three-point shot at the buzzer. Ryan Toolson led the way for the winners with 13 points and 8 assists. Mindaugas Kuzminskas and Jayson Granger each added 12 points, while Fran Vazquez scored 10 for Unicaja. Marko Banic led ALBA with 16 points on 8-of-9 two-point shooting. Jamel McLean added 14 points, Cliff Hammonds scored 11 while Alex Renfroe and Alex King each got 10 for the guests, which led 15-20 after 10 minutes and kept a 36-38 edge at halftime. Kuzminskas and Vladimir Golubovic helped Unicaja bounce back after the break, but a big basket by Reggie Redding tied it at 63-63 after three quarters. 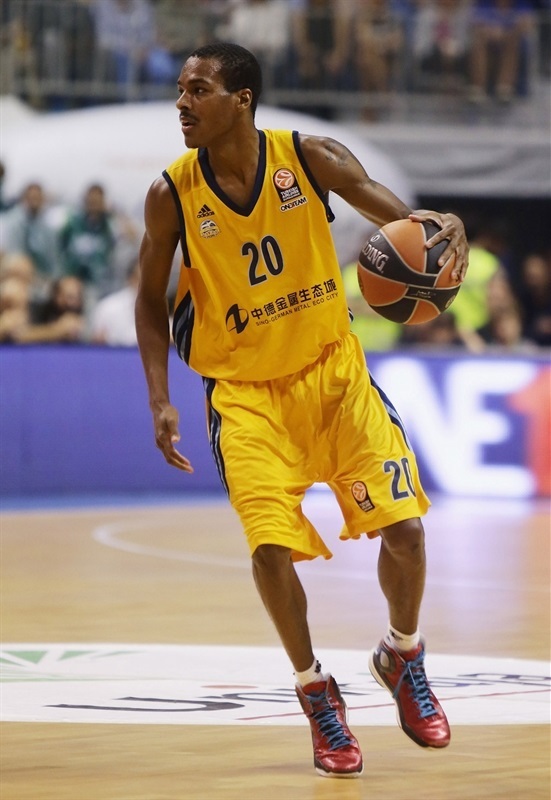 ALBA led 69-75 but an outstanding Granger carried Unicaja to tie the game, 77-77. The game turned into a thriller when a layup by Renfroe gave ALBA an 82-84 edge in the final minute. A driving layup by Granger tied the game and Vasileadis won it for Unicaja right at the buzzer. Fran Vazquez got Unicaja going with a five-meter jumper and soon added a close basket for a 4-0 Unicaja lead. 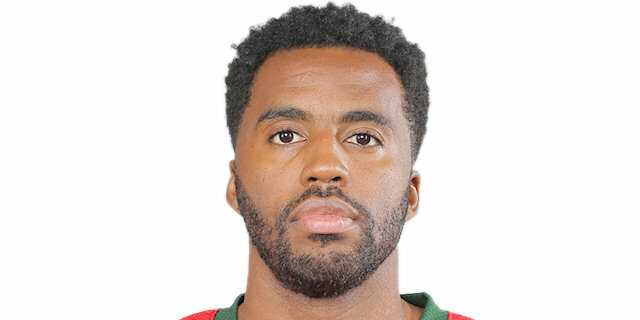 Jamel McLean stepped up with a power layup that Mindaugas Kuzminskas erased with a dunk. Reggie Redding swished a mid-range jumper, which Kostas Vasileiadis bettered with a three-pointer that gave the hosts a 9-4 lead. 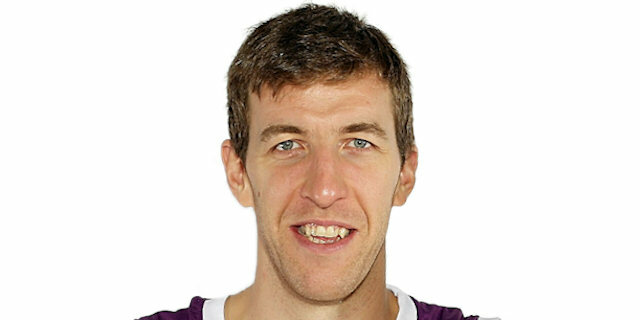 Marko Banic scored twice around the basket to keep ALBA within 1. Alex Renfroe fed Alex King for a layup that gave the guests their first lead, 9-10. King kept pushing ALBA with a tip-in and a five-meter jumper to make all Unicaja fans start to wonder at 9-14. 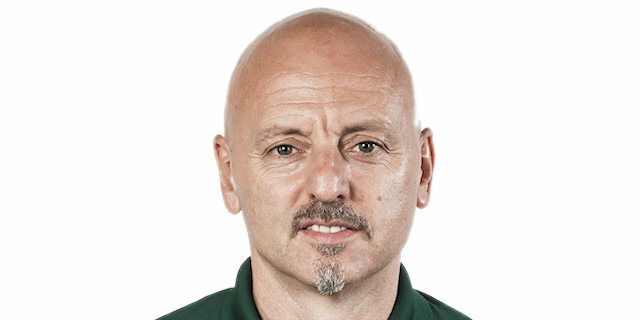 The hosts had been held scoreless for more than four minutes when a free throw by Leon Radosevic capped a 0-11 ALBA run. Vladimir Golubovic scored down low, but Vojdan Stojanovski shined with a reverse layup. Jon Stefansson scored in penetration and Caleb Green added free throws, but a corner triple by Stojanovski restored a 15-20 ALBA lead after 10 minutes. Green hit free throws early in the second quarter, but a three-pointer by Renfroe and a tip-in by McLean boosted the guests' margin to 17-25. Ryan Toolson hit back-to-back mid-range jumpers, which Redding and Banic matched with consecutive layups for an 8-point ALBA. Golubovic took over with a three-point play, but an outstanding Banic scored again to keep the guests way ahead, 24-31. 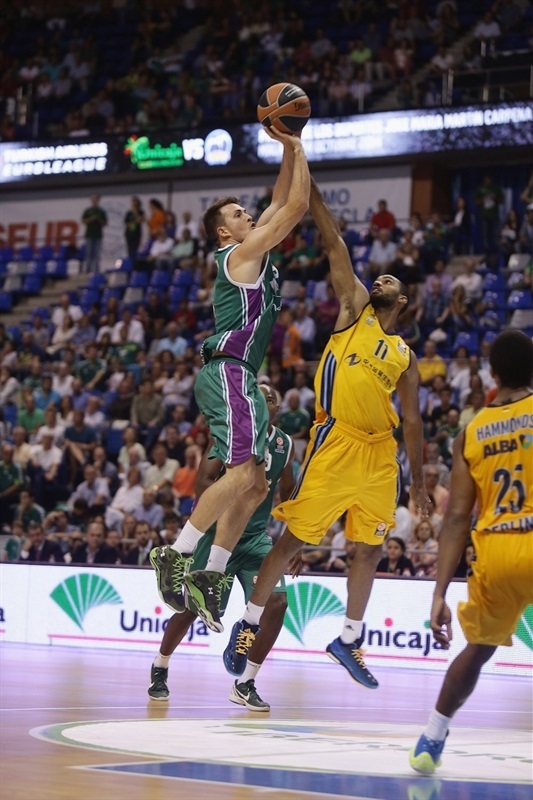 Golubovic and Vazquez made foul shots as Unicaja improved its defense, forcing ALBA to use longer possessions. A three-pointer by Stefan Markovic caused ALBA to call timeout at 30-31. King split free throws, but he didn't find much help around. Meanwhile, Markovic put Unicaja back ahead, 33-32. McLean found space for an uncontested dunk, which Green matched with a layup. Redding followed free throws with an outstanding buzzer-beating basket to put ALBA back ahead, 36-38, at halftime. Vazquez took over with an alley-oop slam right after the break. Banic fed Neils Giffey for a backdoor layup and scored again, but Kuzminskas and Jayson Granger put Unicaja back ahead, 43-42. Giffey sank a stop-and-pop jumper and King followed that with a three-pointer to give ALBA fresh air at 43-47. Granger hit free throws and a put-back layup by Vazquez tied the game again, 47-47. Banic stayed on fire with another close basket, which Kuzminskas bettered with an outstanding dunk-and-foul for a 50-49 Unicaja edge. After Radosevic split foul shots, Toolson struck from downtown. Renfroe kept ALBA within 53-52. Kuzminskas joined the three-point shootout and free throws by Toolson boosted the hosts' lead to 58-52. McLean followed foul shots with a dunk-and-foul, but a tip-in by Golubovic gave Unicaja a 60-57 edge. Banic nailed his trademark baseline jumper and Renfroe hit free throws, but a triple by Toolson kept Unicaja ahead, 63-61. A tip-in by Redding tied the game again, 63-63. Fourth quarter: It all comes down to the final shot! Will Thomas, who had been scoreless until this point, downed a three-pointer early in the quarter. McLean quickly answered with a wild three-point play and Cliff Hammonds struck from downtown to put ALBA back ahead, 66-69. Kuzminskas shined with a tip-in that Hammonds matched with a fast break layup for a 68-71 score. Golubovic split free throws as the game turned into a physical battle. Hammonds took over with a big three-pointer and Renfroe gave ALBA a 69-75 margin with less than six minutes left. Thomas sank another triple, but Banic quickly answered with a three-point play. Stefansson hit a four-meter jumper and Granger did better with a three-pointer to tie it at 77-77. Hammonds answered from downtown, but Granger scored in penetration. 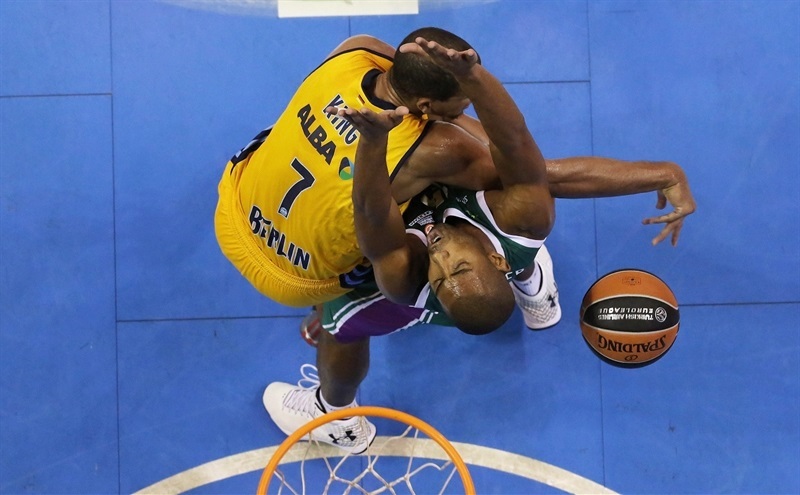 A jumper by Redding gave ALBA a 79-82 edge. Thomas answered from downtown, but a layup by Renfroe restored an 82-84 ALBA edge with under a minute left. 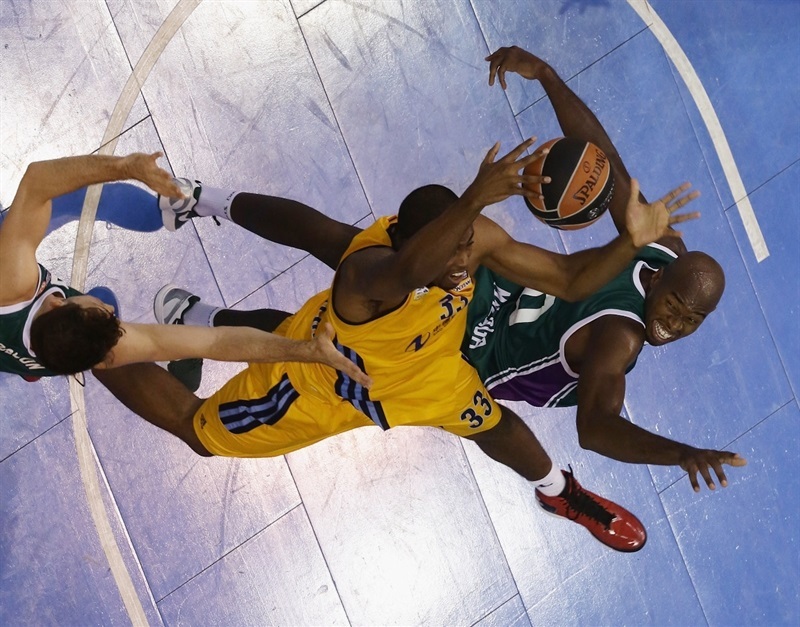 Granger answered with a driving basket and Unicaja got the ball back with 21 seconds left. Kostas Vasileadis got the ball in the final seconds, faked and hit the game-winning shot at the buzzer! "We had to keep faith. There were moments in the last minutes when it seemed like we don't have the tempo to keep up with them. I tried to look on the bench for people from last year, who knew the situation we were in last year. Finally, we had a lucky option to win the game. "It was a very nice match for the viewer. We won three quarters but we have suffered until the last basket. We are very happy with our shooting percentages, but we have suffered to the end for our mistakes. We have committed many turnovers. We have been very intense and serious in the final minutes." "I'm not very happy. They have won with a shot that was terrible for us. 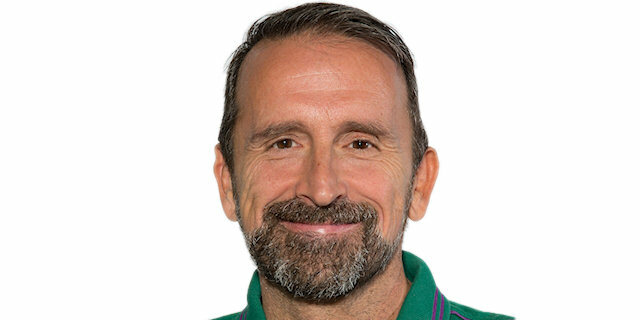 I congratulate Unicaja, but I also think we could have won against a team that plays well at home. We made some mistakes that we should not have committed. In the end, I decided to defend because we were defending well. One of the keys of this defeat was the defensive rebounds. They have been better than us in rebounds. Despite the tactical mistakes, if you always play with this attitude, I am sure we will win games." 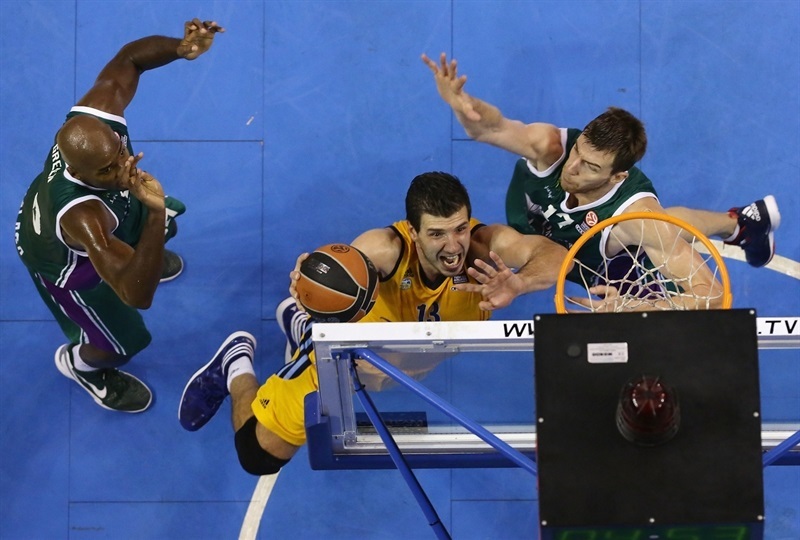 "Winning the first home game of the Euroleague was of great importance to us. Our rival did not make it easy for us to win. It was a very close match but we managed to muster our strength to get our second victory. The score was quite even up to the middle of the game and the third quarter. The last quarter was impressive. We fought until the end, we kept our arms raised all the time and in the end achieved an important victory." "Well, I have hit the game-winning shot some times in my career. I just thought about getting the ball and shooting it - it is the final second, you cannot do anything else. Pressure? I never have pressure. I get the ball and shoot, nothing else, it is my job. ALBA has a great coach and a very good team, they pressure the ball a lot. We didn't shoot well, but can keep improving and winning games." "It's a shame to lose this game. We were looking forward to getting this victory, but even though we played to the maximum for 40 minutes, we couldn't do it. The score was even for four quarters and the game was decided in the last ten minutes under a lot of pressure. We fought to the end."